Multi-award winning writers and household names James Kelman, Bernard MacLaverty and Denise Mina feature alongside emerging talents Ever Dundas and Kate Hunterin 2017 in the Saltire Literary Awards shortlists, unveiled last night (12th October). 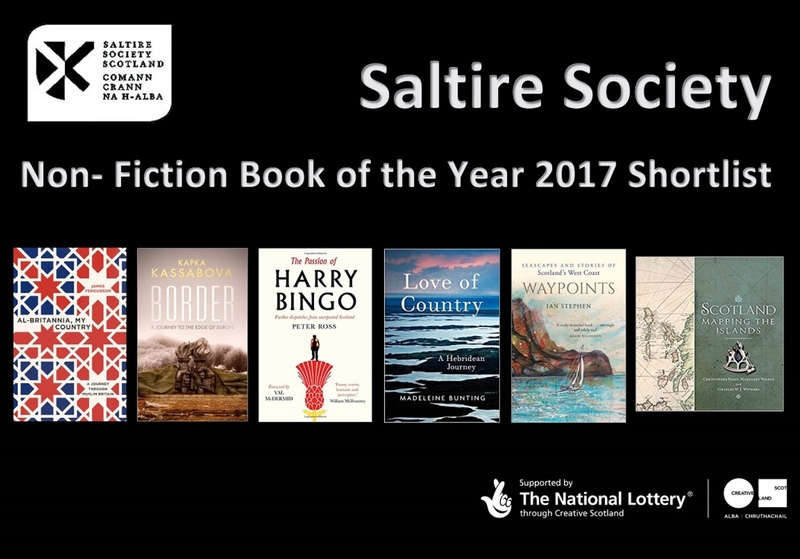 The shortlists for the seven awards that make up the 2017 Saltire Literary Awards were officially announced at an event hosted at the Edinburgh West End branch of Waterstones and featured readings from last year’s winner of the Scottish Book of the Year Award, Kathleen Jamie. 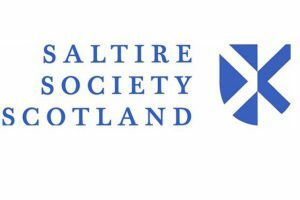 Widely regarded as Scotland’s most prestigious book awards, the Saltire Literary Awards are organised by the Saltire Society, a non-political independent charity founded in 1936 which aims to celebrate the Scottish imagination. Established writer John Burnside, one of only two poets to have won both the T. S. Eliot Prize and the Forward Poetry Prize for the same book, features in both the Poetry and Fiction Book Awards shortlists. He is up against new voices Em Strang and Jason Donald for the coveted prizes. A collection of some of the most beautiful and historically significant maps from the National Library of Scotland’s archive, the exploration of the development of Muslim communities in Scotland, highlighting the ongoing changes in their structure and the move towards a Scottish experience of being Muslim, and a collection, covering 500 years of transgressive Gaelic poetry with new English translations all contribute to a rich line-up in the Research and Non-Fiction book of the Year Awards. 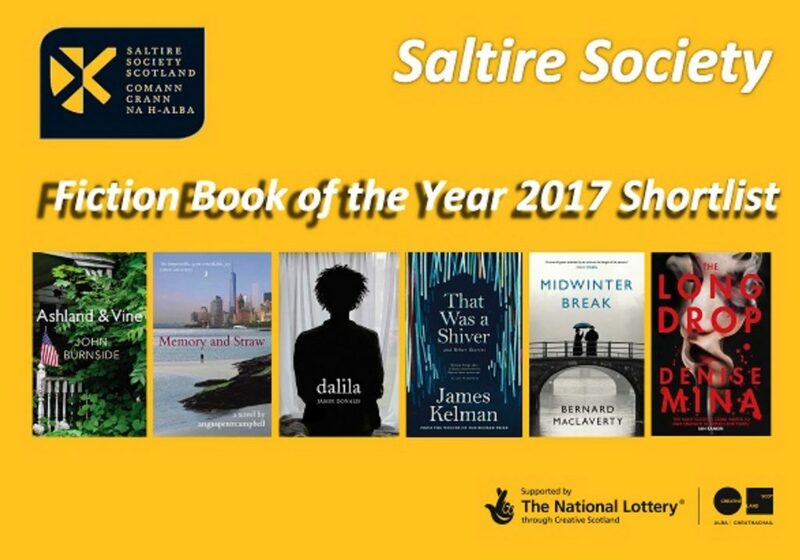 The Fiction Book of the Year shortlist features a number of acclaimed authors, including the latest novels from previous Saltire Literary Award winners James Kelman, Bernard MacLaverty and John Burnside. Also featured is Denise Mina,the first woman to win the McIllvanney prize for her shortlisted novel, The Long Drop. 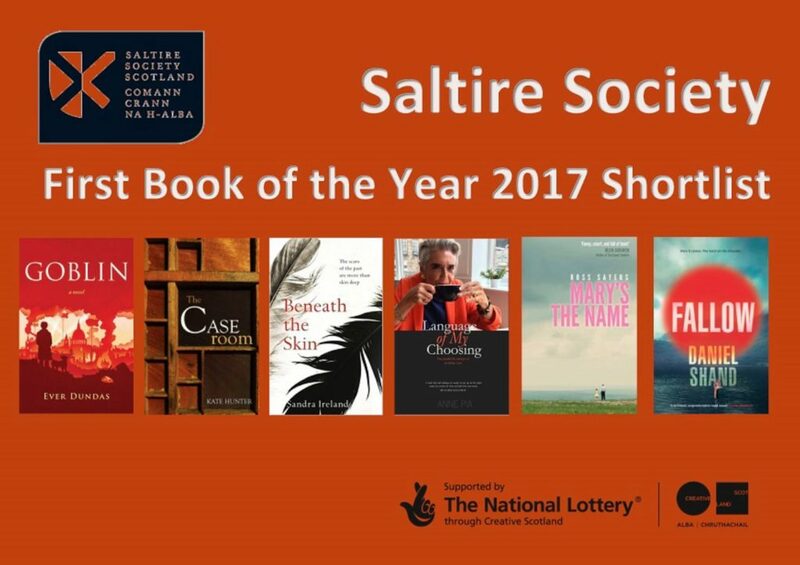 The First Book of the Year shortlist is particularly varied, with beguiling historical tale Goblin by Ever Dundas, the interweaving of crime and taxidermy in Sandra Ireland’s Beneath the Skin alongside the candid life-memoir of an Italian Scot, Anne Pia. 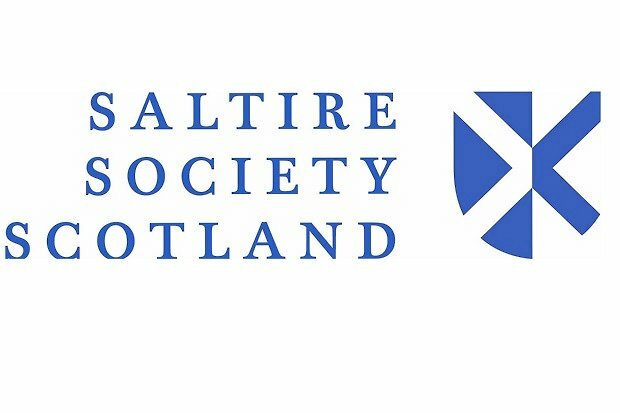 2013 saw the Saltire Literary Awards expanded to see Publishers as well as writers celebrated for their work. 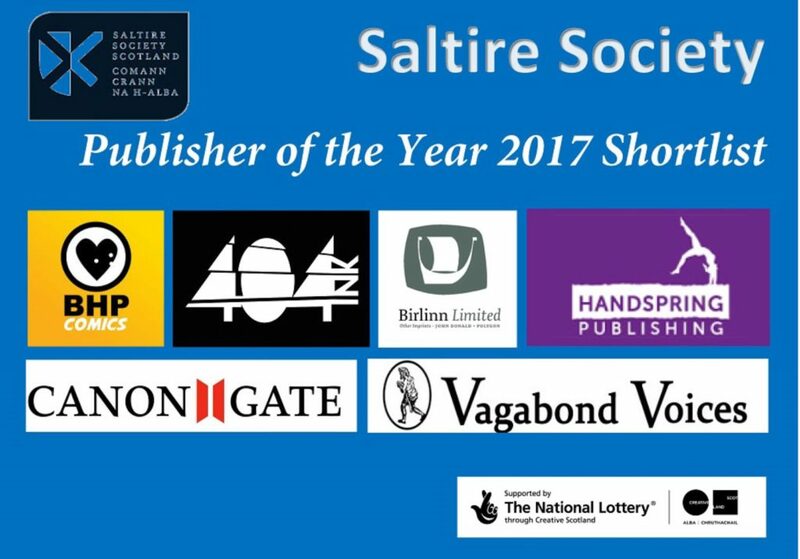 This year sees awards for both publishing companies and individuals at the beginning of their career in the industry. 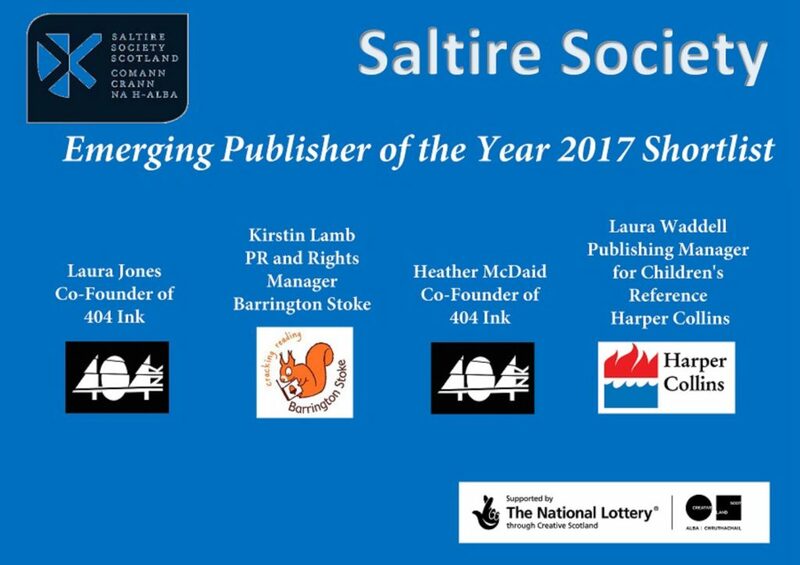 Established publishers such as Canongate and Birlinn are shortlisted alongside newcomers 404Ink who have had phenomenal success with their first publication Nasty Women, and niche publishers Handspring, while emerging talents, such as Kirstin Lamb of Barington Stoke and Laura Waddell of Harper Collins, have been shortlisted for the Emerging Publisher of the Year Award for their commitment, innovation and adaptability within the industry. The winning book from each of the book awards will go on to compete for the coveted Saltire Scottish Book of the Year Award and an accompanying £3,000 cash prize. 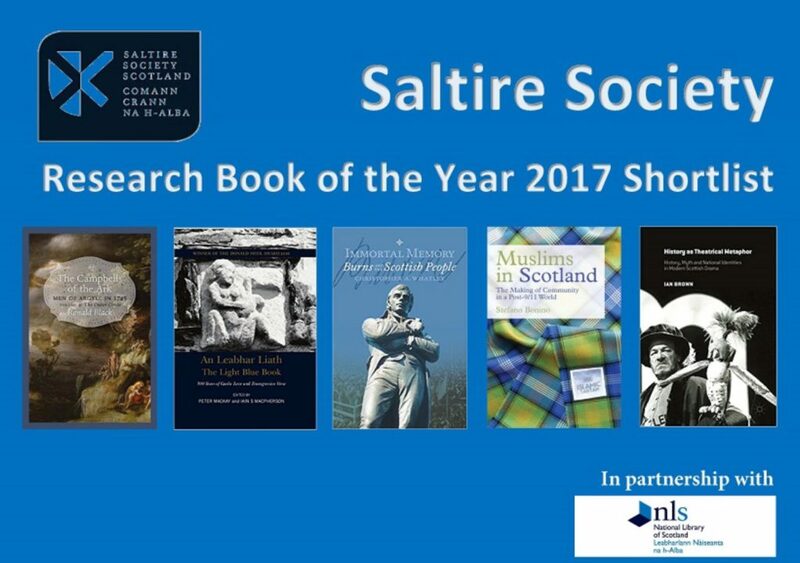 The winners of all the Saltire Literary Awards, along with the Ross Roy Medal for the best PhD thesis on a subject relating to Scottish literature, will be formally announced at a special ceremony in Edinburgh on St Andrew’s Day (30 November 2017). 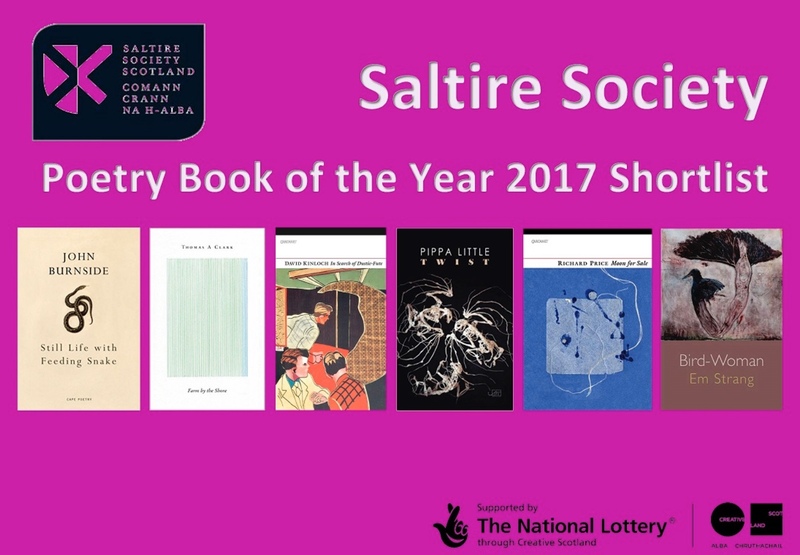 Saltire Society Programme Director, Sarah Mason commented: “As always with the Saltire Literary Awards, the sheer scale, diversity and excellence within the shortlists exemplify the best in Scotland’s literary sphere.